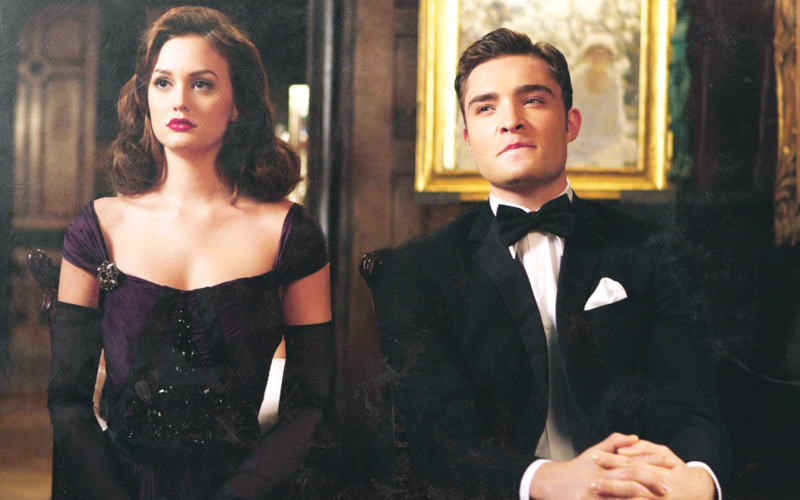 Chuck Bass: Please don't leave with him. Blair Waldorf: Why? Give me a reason. And 'I'm Chuck Bass' doesn't count. Chuck Bass: Because you don't want to. Blair Waldorf: Not good enough. Chuck Bass: Because I don't want you to. Blair Waldorf: It's not enough. Chuck Bass: What else is there? Blair Waldorf: The true reason I should stay right where I am and not get in the car, three words, eight letters... say it and I'm yours. Monica: Chandler, for so long I wondered if I would ever find my prince, my soul mate. Then three years ago, at another wedding, I turned to a friend for comfort. And instead, I found everything that I'd ever been looking for my whole life. And now, here we are, with our future before us—and I only want to spend it with you, my prince, my soul mate, my friend. Chandler: Monica, I thought this was going to be the most difficult thing I ever had to do. But when I saw you walking down that aisle I realized how simple it was. I love you. Any surprises that come our way, it's OK, because I will always love you. You are the person I was meant to spend the rest of my life with. Marshall: I vow to always sit next to you and hug you, even if you're covered in vomit, Whether it's yours or Marvin's, or in the case of what came to be known as Spew Year's Eve 1998—My own. Marshall: Ooh, I just thought of another one. Lily: …when you interrupt me. Marshall: Mine was to interrupt you less, so that's good. I vow to finally stop petitioning Paul McCartney to let Weird Al record 'Chicken Pot Pie' to the tune of 'Live and Let Die.' It's over. I'll let it go. Lily: I vow to cry less during this pregnancy. Marshall: I vow to cry less during this Vikings season. Lily: Mm, with that secondary, I wouldn't make that promise. Marshall: I vow to keep at least 80 percent of these vows. Marshall: And I vow to keep updating them as we go. Because one set of vows, it can't cover a lifetime of growing and changing with you, of raising children with you, falling more and more in love with you every day, Lily Aldrin, which is what I vow to do for the rest of my life. Penny, we are made of particles that have existed since the since the moment the universe began. I like to think those atoms traveled 14 billion years through time and space to create us so that we could be together and make each other whole. Ben: In my time working for the state government, my job sent me to 46 cities in 11 years. I lived in villages with eight people, rural farming communities, college towns. I was sent to every corner of Indiana. And then I came here, and I realized that, this whole time, I was just wandering around, everywhere, just looking for you. Leslie: The things that you have done for me to help me, support me, surprise me, to make me happy, go above and beyond what any person deserves. You're all I need. I love you and I like you.